Vascular calcification is highly associated with cardiovascular disease mortality, particularly in high-risk patients with diabetes and chronic kidney diseases (CKD). In blood vessels, intimal calcification is associated with atherosclerosis, whereas medial calcification is a nonocclusive process which leads to increased vascular stiffness and reduced vascular compliance. In the valves, calcification of the leaflets can change the mechanical properties of the tissue and result in stenosis. For many decades, vascular calcification has been noted as a consequence of aging. 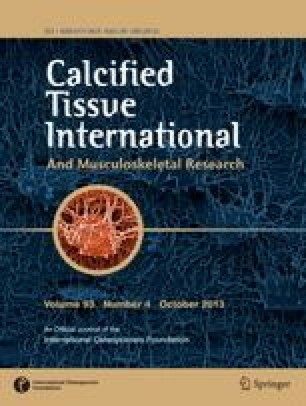 Studies now confirm that vascular calcification is an actively regulated process and shares many features with bone development and metabolism. This review provides an update on the mechanisms of vascular calcification including the emerging roles of the RANK/RANKL/OPG triad, osteoclasts, and microRNAs. Potential treatments adapted from osteoporosis and CKD treatments that are under investigation for preventing and/or regressing vascular calcification are also reviewed. Studies in C. M. G.’s lab are supported by NIH grants R01 HL114611, R01 HL62329, and R01 HL081785; Washington State Life Science Discovery grant 2361524; and a grant from Abbott Laboratories. C.R. is supported by the Bioengineering Cardiovascular NIH training grant T32EB001650.